Welcome to the Cheney House! 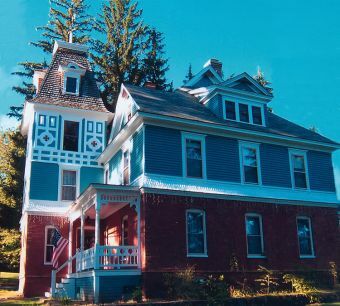 Relax in the pristine elegance of our charmingly restored 1895 Victorian B&B ideally located in the countryside village of Ashland, New Hampshire. We offer 4 beautiful guest rooms, all with private bathrooms. 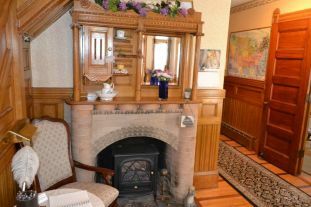 Relax in your comfortable guest living room while sitting by a crackling fire working on a jigsaw puzzle or – relax in the sitting room We make you feel at home - you haven’t rented just a room! You've arrived at your "home away from home". We’re a small personable B&B, catering to your needs. Our location is centrally located in the Lakes Region (central New Hampshire) with Lake Winnipesauke and Squam Lake (home of the film “On Golden Pond”) close by for your outdoor activities. This area abounds in beautiful mountains, several lakes, covered bridges and wildlife viewing for your sightseeing and exploring! Come and view the neighborhood black bear, Boo Boo and deer too!" This ideal area of New Hampshire offers many outdoor activities year-round for your vacation getaway or romantic weekend including nature trails, boating, kayaking, lake swimming, tennis, golf, spectacular fall foliage, downhill/cross-country skiing and snowboarding – just to mention a few. Wake up to the aroma of freshly brewed coffee and homemade breads and muffins. Let us pamper you. You are truly a VIP at our B&B! Your Hosts Anthony & Bobbi Hoerter.